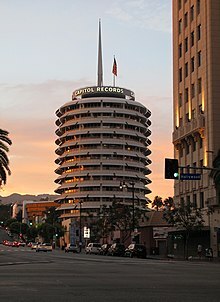 『Day In, Day Out (1939 song)』『フールズ・ラッシュ・イン』のヒットが続き、人気ラジオ・ショー「Your Hit Parade」ではトップ10のうちにマーサー作品が5曲入っていた。. ^ Gene Lees, Portrait of Johnny: The Life of John Herndon Mercer’’, Pantheon Books, New York, 2004, ISBN 0-375-42060-6, p.15. ^ Lees, 2004, p. 11. ^ Philip Furia, ‘’Skylark: The Life and Times of Johnny Mercer’’, St. Martin’s Press, New York, 2003, ISBN 0-312-28720-8, p. 11. ^ Lees, 2004, p. 21. ^ Furia, 2003, pp. 12–13. ^ a b Wilk, Max (1997). They're Playing Our Song. New York, N.Y.: Da Capo Press. ISBN 0-306-80746-7. ^ Lees, 2004, p. 28. ^ Lees, 2004, p. 58. ^ Lees, 2004, p. 61. ^ Gottfried, Martin (1984). Broadway Musicals. New York: Abradale Press. ISBN 0-8109-8060-6. ^ Lees, 2004, p. 115. ^ Furia, 2003, p. 111. ^ Furia, Philip (1992). Poets of Tin Pan Alley. New York & Oxford: Oxford University Press. pp. 151, 273–274. ISBN 0-19-507473-4. ^ Roger Hall,A Guide to Film Music: Songs and Scores, PineTree Press, 2007, p. 13. ^ Furia, 2003, p. 264. Bach, Bob & Mercer, Ginger (1982). 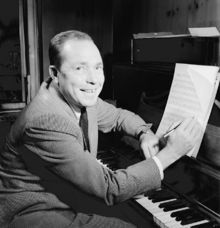 Our Huckleberry Friend: The Life, Times, and Lyrics of Johnny Mercer. Lyle Stuart. ISBN. Furia, Phillip (1990). Poets of Tin Pan Alley. Oxford University Press. ISBN. Furia, Phillip (2003). Skylark: The Life and Times of Johnny Mercer. St. Martin's Press. ISBN. Kimball, Robert, et al (2009). The Complete Lyrics of Johnny Mercer. Knopf. ISBN. Lees, Gene (2004). Portrait of Johnny: The Life of John Herndon Mercer. Hal Leonard. ISBN. Wilder, Alec (1990). American Popular Song. Oxford University Press. ISBN. Will, Max (1997). They're Playing Our Song. Da Capo Press. ISBN.